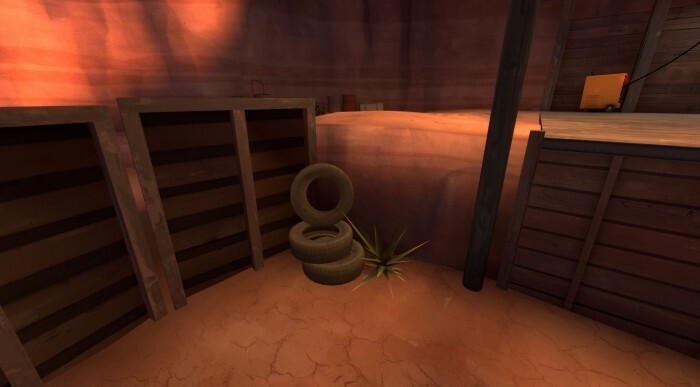 Do you ever feel that your Team Fortress 2 map is just missing something? It plays decently, it is enjoyable, but it is lacking something that really puts it over the top? Here are some common features in Valve maps that are often missed by community mappers. If there is a single most important factor in determining whether your map is fun and interesting to play, or plain and boring, it is height variation. Changes it height make the map much more entertaining, offers strategic options for various classes, and quickly makes the map layout much more intriguing to a player. Height variation can also serve a function purpose, such as funneling spam, breaking sight lines, or improving optimization. In Badlands, height variation is a huge part of the map design. A quick look at the mid point reveals a massive number of planes of combat, horizontal levels on which players can fight, as well as slopes and stairs to obliterate the “flat” feeling of a map. It is impossible to look at Badlands and say it is flat. Also notice the use of the bridge to layer levels of play on top of each other; height variation does not have to be merely side-by-side. 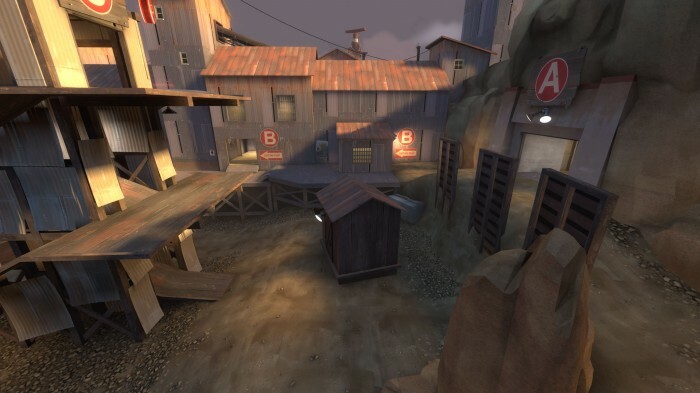 In King of the Hill maps, height variation allows for spam to be funneled away from the capture point, as well as highlighting the point itself. 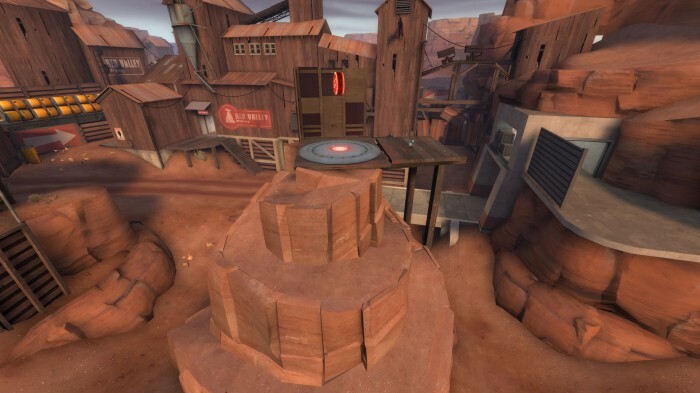 If you look at Viaduct, the point exists on top of a hill (it is King of the Hill after all), with slopes to allow spam to roll off and away from the point. It also breaks the line of sight between the opposing routes from spawn. In Nucleus, the point exists suspended over a massive pit, which fills the same role of eating the spam. The scout is a class built around rapid, fluid navigation. The scout’s speed and double-jump allow him to go places in ways other classes cannot. 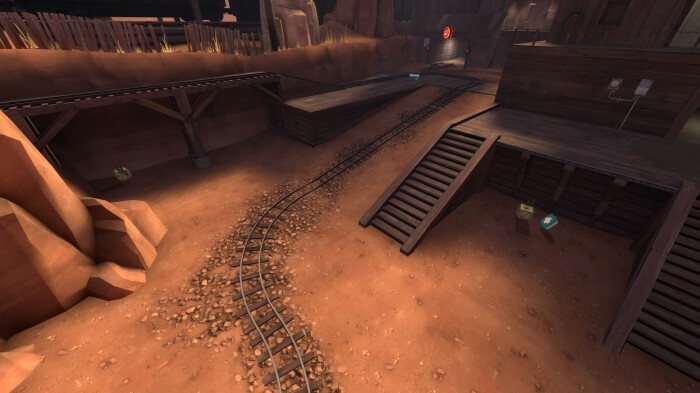 This is recognized in many official maps, which contain certain routes that a skilled scout player can use to navigate around or above the battle, staying clear of most spam. These would be the all-class counterpart of the “Scout Route”. Some of the scout jumps can also be used (albeit less effectively) by all classes, such as the jumps to the spire on Badlands. But other affordances are made to offer special tricks skilled or knowledgeable players can use to better or more quickly navigate the map. A subset of the skill jump pertains specifically to rocket and sticky jumps. It is important to realize what value these two features are to gameplay, and how your map should be built to accommodate their existence. Walls, slopes, and roofs are all “launch pads” for a rocket jump in addition to the floor. Rocket jumps and sticky jumps are used for quick travel for slower classes, heightening the importance of your map to be friendly to these jumps, especially with the introduction of the Gunboats. A quick search on YouTube will reveal plenty of videos demonstrating what these jumps can achieve. Health kit and ammo pack placement seems like a simple enough task, but not putting thought into it can have a serious effect on your map. There are a few simple concepts and ideas to keep in mind when placing health and ammunition. Place ammo where engineers will build. 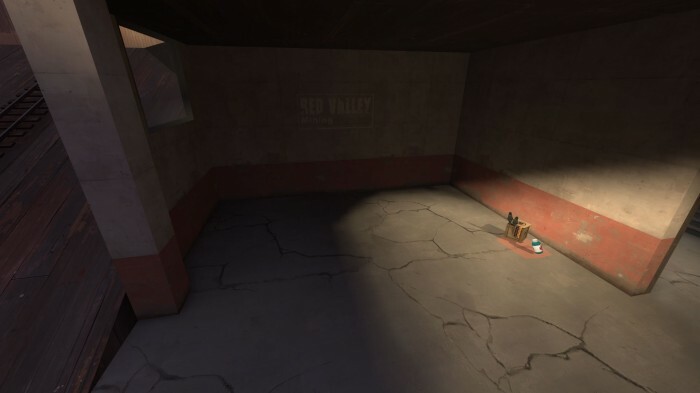 A map has certain sentry spots where engineers will build regardless of the availability of ammunition, however, their opinion of the map, and the fun they have playing it, will rapidly deteriorate when they find there is no metal to use for building and upgrading. This means ammo pack placement needs to be effective and based on map conditions. 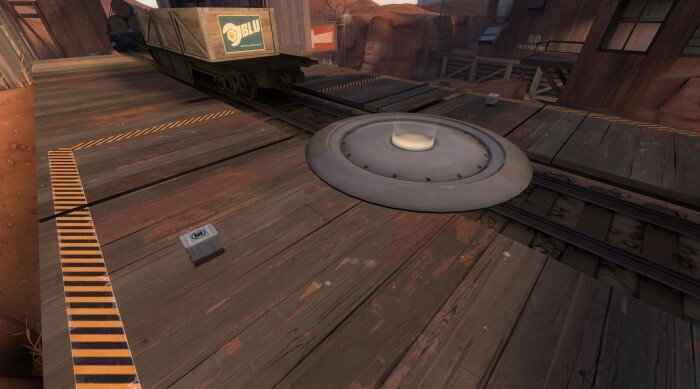 In attack/defend maps like Badwater Basin, Gold Rush, or Dustbowl, you will find full ammo packs at the start of the level, necessary for the RED team to build during setup time. Health and ammo is less abundant near spawns, as they are unnecessary when a resupply locker is nearby, and can make it easy for the attacking team to spawn camp. The closer to an area of heavy gameplay, the smaller kits will be. The middle point of Badlands has ammo at its edges, but they are small ammo kits (not full! ), while there is medium health and small ammo in the “house” farther away, and off to the side of gameplay. By keeping these points in mind while constructing your next map, you will add that “something” that is missing. 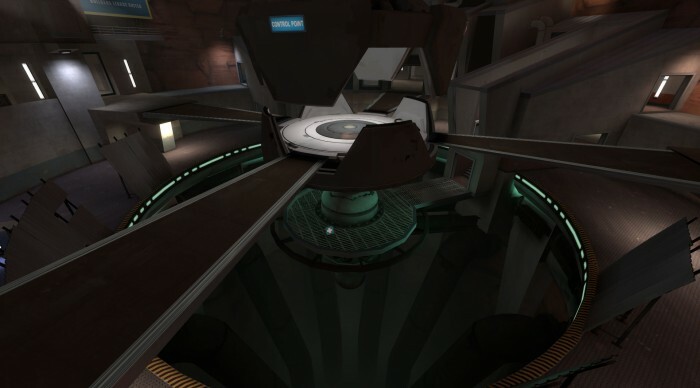 By adding that “something”, you turn your map into a map that is quality and fun, and plays well in TF2. And when you take all of it to heart, you end up with Badlands. Everywhere you look, you see what I have mentioned above. 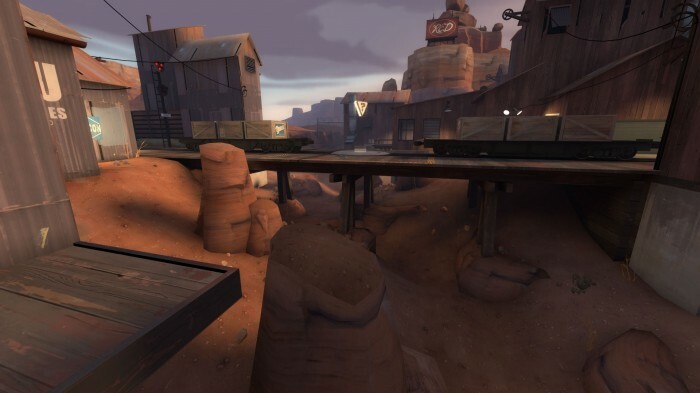 From the middle point to the final point, you will notice height variation, “scout routes”, skill jumps, and proper pickup placement – which didn’t play small part in winning over the competitive TF2 community. Watch a match on Badlands and see the level of skill which a player can achieve from knowing and practicing the map. It has depth. Valve maps have a learning curve. They go beyond being a container for the battle, to being something you can learn the ins and outs of. You can be a good player on a good map if you know it well enough. How many of the things we discussed can you spot? This entry was posted on Wednesday, June 9th, 2010 at 3:27 PM	and is filed under Articles. You can follow any responses to this entry through the RSS 2.0 feed. You can leave a response, or trackback from your own site. Great article, pretty useful how you covered a bunch of gamemodes. Bassicly everything i read here was not so big mystery. In the other hand, great to read something like bassicly fresh, intelligent tips. 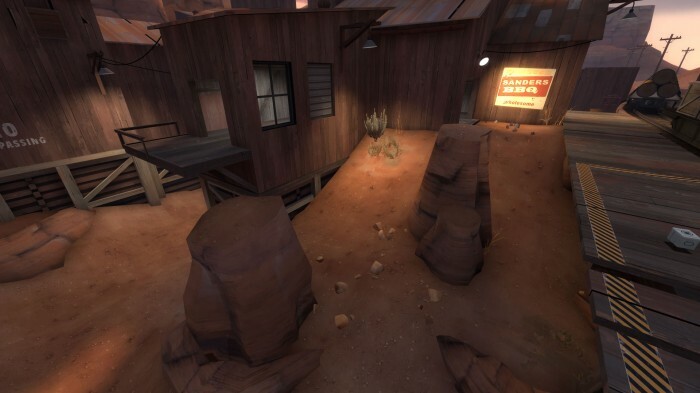 What Badlands misses is, just like many other CP maps, is opportunities for CQC classes to shine. The spires and their rooms are rather unfriendly to heavies, and just dreadful for pyros. The bridge is good enough for Heavy, but he has to get there. When half the map is a deathtrap for two classes, it’s hard to praise it. How do you create a spire via in-game commands?